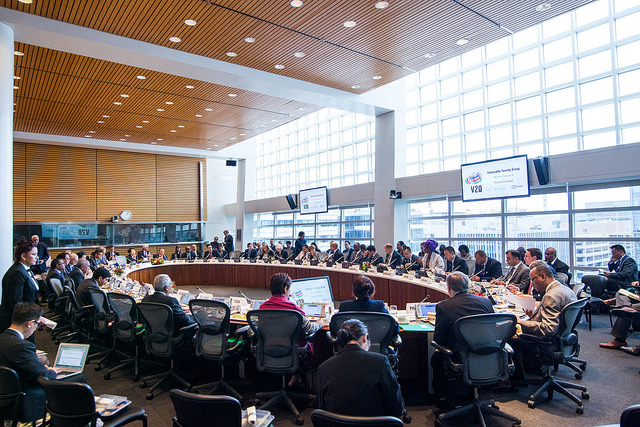 The Vulnerable Twenty (V20) Group of Ministers of Finance will reconvene during the 2017 Spring Meetings of the International Monetary Fund and World Bank Group to advance the climate change finance agenda of economies systemically vulnerable to climate change. The V20 Group will progress its 2020 Action Plan following the Regional Consultation for the Asia-Pacific at the Asian Development Bank, Manila, Philippines and the meetings of its Focus Groups on Advocacy and Partnerships, Climate Accounting and Risk. Statements and documents available here.